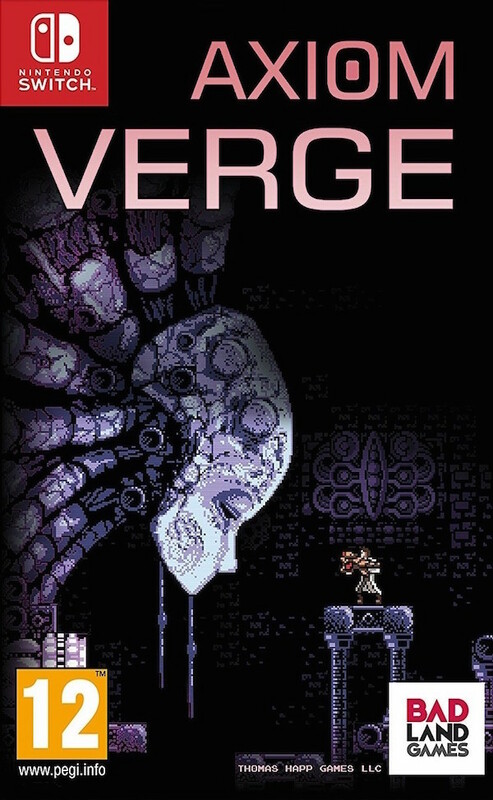 In Axiom Verge , you play as Trace, a scientist who awakens in an alien world after a lab explosion. A voice calls to Trace telepathically for help, his only clue to the strange world in which he finds himself. As Trace works his way toward the voice and beyond, he explores an expansive world with unique tools and abilities, loads of weapons, tons of health/power/attribute upgrades, nearly 70 unique creatures, gigantic screen-filling bosses, and unique gameplay glitches allowing you to break past the boundaries of normal gameplay. €12,59 in de eShop, aanbieding t/m 05-04-2018.